FREE SHIPPING - We cover the cost of shipping on all orders of $179* or more to destinations within the continental US (lower 48 states). *From time to time we may offer a lower free shipping threshold and we encourage you to sign up for notification. Your package may be shipped by either Fedex or UPS, depending on which warehouse ships your order. You may be contacted if the Bill To/Ship To address are different on your order. Orders placed by 9 am MST will ship the same day. Some restrictions apply. During busy holiday seasons, there may be an additional 1-2 day delay before your order ships. See full details here. It's up to YOU to know the laws in your state, county and city and to fully comply with them. The following are examples of some state and local restrictions governing airguns and airsoft guns. Airguns are restricted in: New York City, NY, its boroughs (Zip Codes 100xx-104xx and 111-114xx, 116xx), New Jersey, Chicago IL and Washington DC. We cannot ship CO2, blank ammo or select PCPs to Puerto Rico, Guam, Alaska, Hawaii, overseas, or anywhere requiring air shipment due to shipping restrictions. Airgun Depot is happy to offer same day shipping of your order if placed by 9am MST (11am EST) . During busy holiday seasons, there may be an additional 1-2 day delay before your order ships. If all items ordered are in stock at our Utah warehouse your order will ship the same day. Orders placed on Saturday and Sunday will ship Monday. We ship 90% of our orders from our Utah warehouse. Items shipping from our other warehouses usually ship the same day or the next business day. Incorrect Billing or Shipping Address- make sure your billing address is correct and that you don't accidentally reverse the billing and shipping addresses. Order Verification- if we have to take extra steps to verify your order this could prevent your order from shipping same day. Please make sure you provide a contact number where you can be reached. Out of Stock Items- Though we do our best to keep the website updated, occasionally some items sell out. If an item is out of stock we will notify you of the expected shipping date. 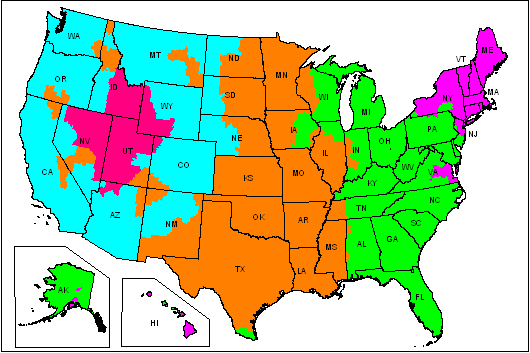 Restricted Addresses- Some state and city laws prevent us from shipping into some locations. Please make sure your city or state is not restricted. If your home is in a restricted area and you wish to have your order shipped to an address that is not restricted, be sure to check with your local law enforcement to confirm it is legal to own and operate an airgun where you live. Your tracking number will be emailed when your order ships or you can check the status of your order manually. DON'T DESPAIR, YOU CAN STILL ORDER FROM AIRGUN DEPOT! You may live in an area that restricts delivery of certain products on our website. Please review the following restricted areas, and if you live in one of them, refer to our guidelines below about what items are restricted and where and how you can still order from Airgun Depot. If you are shipping overseas, be sure to read our international information. Certain products such as CO2, blank ammo and select PCPs can only be shipped via ground due to shipping restrictions. What products are restricted and in what areas? The following list is comprised of examples of known restricted areas for some of our products. This list is not intended to be a complete list, and it is up to each customer to know the regulations of the state and city in which they live and abide by them. How do I order a product that is restricted in my area? It's simple! Use an alternate shipping address to a nearby unrestricted area. Remember, it's up to you to know the laws in your city and state where you plan to use the item. Normally our customers who live in restricted shipping areas will have the item shipped to an unrestricted address. For example, you could have us ship your package to a friend or relative's address outside our restricted shipping areas. Please be aware that it is up to you to get the proper permits (if applicable) to own and use restricted items in your area. You may also be able to have restricted items shipped directly to you, via your local Federal Firearms Licensed (FFL) dealer. This will involve a separate fee imposed by the dealer, which Airgun Depot will not be responsible for and we can not include it in the cost of the order. Fees will sometimes vary greatly between dealers, so contact more than one if possible. Please locate a firearms dealer who is willing to accept a transfer (i.e., your order), as Airgun Depot does NOT maintain any type of list, then contact our customer support center at (866) 477-4867 for further details on how to proceed. Please note that Airgun Depot is NOT firearms dealer, a small number of dealers will only accept transfers from another FFL dealer. We, unfortunately, will not be able to ship your order directly to a restricted location if this is the case. If you have an alternate address for delivery, simply put that address in the shipping address field during checkout, and make sure you provide the correct billing address and phone number for verification. Also, provide us with a valid email address during checkout. We can ship many of our products internationally via USPS Priority Mail & FedEx International however, many countries have restrictions in place that prevent us from shipping many (or all) of our products. In many countries, air guns are considered firearms and fall under firearm restrictions. It is up to you to know the laws in your country. Please check with your local authority to make sure the item is legal in your city/state/country. In most cases our website can calculate your shipping costs, however, if you order an over sized item there could be additional shipping fees involved. If there are additional shipping fees we will contact you by email before we charge your credit card. If you are a dealer and want to purchase our products in large quantities, please apply for a dealer account. Please Note: We can NOT ship optics, night vision, or lasers to ANY country, unless they are attached or packaged together with an air gun, regardless if the country is listed below or not. We get a lot of questions as to where we can ship our products, below you will find a list of countries that we can currently ship our products to. If you do not see your country in this list, there is a chance that we cannot ship our products to your country. Airgun Depot will accept returned products that have been damaged in shipment, have been incorrectly sent, were originally defective within the 30 days of receipt of your order, unless otherwise listed during purchase. Please note, shipping and handling fees are non-refundable and you will be responsible for paying to have the merchandise shipped back to our warehouse. However, you will receive full product refund under the circumstances listed above. Read our full return policy for more details. Contact your customs agency to get the required import permits for the items you order. If you order is confiscated by your customs agency, Airgun Depot LLC is not responsible for the loss, nor will we reimburse you for the cost of the impounded products or their shipping cost. There may be additional fees associated with importing and inland shipping. If the need arises, our customer service department will assist in any shipment claims or product returns. When these situations arise please call us first for assistance. We will also verify your payment information before your order ships to minimize fraud. Be sure and provide a valid telephone number where you can be reached for verification, along with the phone number your credit card issuer has on file for you.